Here’s my take on the Wavewalk. Like so many, back issues are a big reason I decided on a Wavewalk. I’m not even an old guy. My sit-ins had me taking shore breaks every few hours. My first time out in the Wavewalk, I was out fishing for 13 hours and never had any discomfort because of the ease of changing positions. 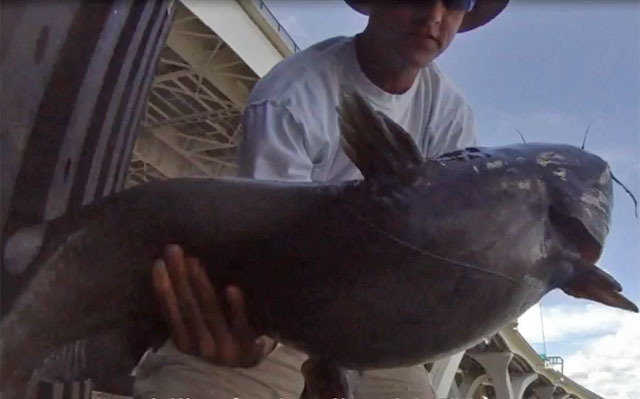 Last year I did a lot of fishing and caught many different fish as can be seen in my video. It’s now a little more than a year after I vacationed in Florida and was able to try out a Wavewalk. On the way home from that trip a stopped at my local dealer and bought one. After many modifications and additions I think I have finally reached a configuration that won’t be changing for a while. The latest addition was a Minn Kota C2 30lb trolling motor mounted to a transom I made from some wood and screws I had available. After one outing last year when I caught my first northern snakehead, I decided I need to take up bow fishing too. The Wavewalk is perfect for sneaking up on them in the weedy shallows. When it gets too thick to paddle, I pole along. While I haven’t yet taken any snakeheads by bow, I have been successful at getting some catfish and carp. The stability makes it so easy. 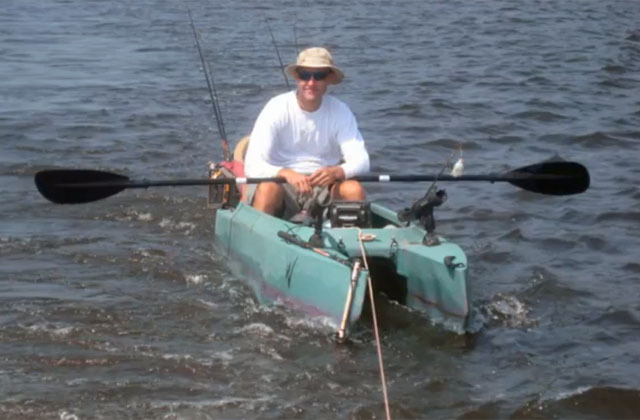 I’m glad your W solved your kayak fishing ergonomics problem! I get such a kick out of people telling me they can stay out in their mono-hulls for “at least a couple of hours” and it “hardly hurts at all”. Is there a fish you don’t catch? Amazing fishing and and amazing rigging!